The INEXS team of engineers, geologists, and geophysicists have worked over 7000 projects encompassing every major basin in the world. We are experts in integrated field studies, understanding and applying regional geology, and resource evaluations. INEXS helps clients understand and quantify the oil and gas assets they are interested in buying, selling, or investing in. INEXS determines the risks of each asset through rigorous examination and analysis of existing GG&E data. INEXS engineers provide detailed, independent reserves analysis. Human powered petroleum engineering and geoscience! Learn more about how our team can help you achieve your goals. Founded in 1990, INEXS is a relationship-driven geological, geophysical and reservoir engineering consulting company offering fully integrated projects ranging from regional basin studies to localized field studies targeting the evaluation of proved and undeveloped reserves. 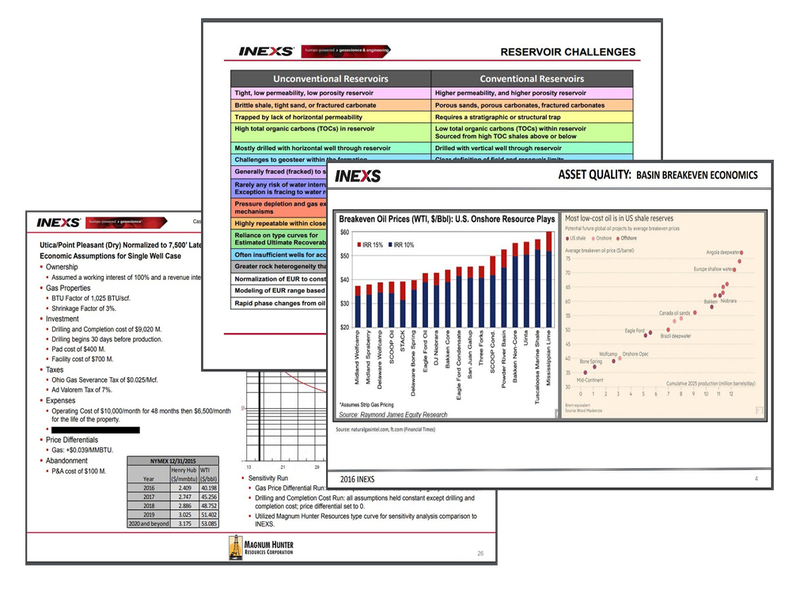 Specializing in detailed exploration, data interpretation and analysis, INEXS brings clarity to the subsurface picture and delivers high value results for our clients. INEXS identifies all of the asset attributes, then generates and provides technical analysis and presentations to better attract and retain interested buyers. INEXS is fully qualified to also assist or market the asset packages through virtual/physical data rooms, prospect expos, trade publications, and identification of potential clients. The team at INEXS has worked well over $1 billion in M&A and A&D as a third, non-biased party. The INEXS staff of engineers, geologists, and geophysicists have worked over 7000 projects encompassing every major basin in the world and are qualified experts in resource evaluations, understanding and applying regional geology, and integrated field studies. INEXS has over 25 years of experience providing technical expertise and independent assessments of “Realizable Economic Value” of a company’s oil & gas reserves. Hiring INEXS brings expertise in all disciplines of engineering and geoscience to independently assess the value of hydrocarbons in place, the ability to drill and produce those hydrocarbons, and the lifetime costs of production. Every project begins with an integration of regional geology. Identify productive trends and reservoirs. 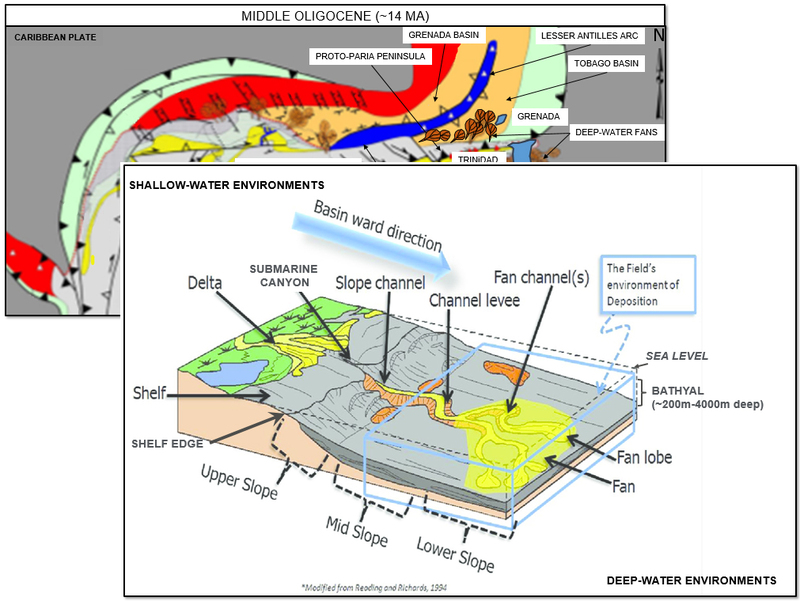 Apply knowledge of stratigraphy to identify depositional environments. Identify most attractive areas for each reservoir. Apply knowledge of analogous fields to study area. Bring deeper potential into the study area. SPN Resources contracted INEXS to provide a detailed field study of the South Pass 60 (SP60) field. The project area had 125 highly deviated wells, with 38 reservoirs, and more than 40 years of production history. The objective of the field study was to integrate all of the previous work, as well as all production histories and recompletions to identify new in-field drilling opportunities potentially missed by previous drilling. This very large project was completed on time and well above our satisfaction and expectations. “When I say that we’ve benefited from INEXS expertise and INEXS knowledge time and time again, I’m talking about the measurable added value of a 14-year relationship, one company with another, one team with another. These people are on my side.